At last. The foreshadowing fairy has been working overtime ever since Chimes of Midnight. It’s time to own up to the paradox unleashed when Charley first began her travels with the Doctor. Which brings us to Neverland. The Time Lords, and one Time Lord in particular, call the Doctor to account. The journey will take him, Romana, Charley, and the less-than-satisfactory CIA Coordinator Vansell into Neverland on the quest for Zagreus, a terrifying figure out of Gallifreyan folklore. This is a complex, action-packed, smart and emotionally powerful story, worthy to take its place alongside Deadly Assassin, The Aztecs and Enlightenment. It looks back and ahead, sowing the seeds for the Gallifrey series, confidently portraying Gallifreyan politics and legends and lore, CIA competence and dirty tricks, and the truly epic undertakings that only Time Lords are arrogant enough to attempt. Lalla Ward is her usual commanding self, disdainful when cornered and treating the Doctor with well-deserved exasperation while simultaneously respecting and caring deeply for him. She and Paul McGann click instantly, and when they team up, it’s understatedly brilliant. India Fisher does her best to keep up. Charley gets stuck in the damsel penalty box for a lot of this story, but the plot wouldn’t work without it. She’s never passive, choosing her own path and refusing to let the Doctor coddle her. I felt like her speeches went on a little too long at times— leave the Big Damn Oratory to Madame President and the Doctor— but there’s some touching Charley/Doctor moments, and her Peter Pan analogy for the Doctor is heartfelt and insightful. I’m impressed at this audio’s bold cliffhanger, which left its original audience hanging for a year and a half. Just as with Entropy Plague, Big Finish is scarier when a TV/movie character runs past their onscreen canon, after which their fate is up for grabs. 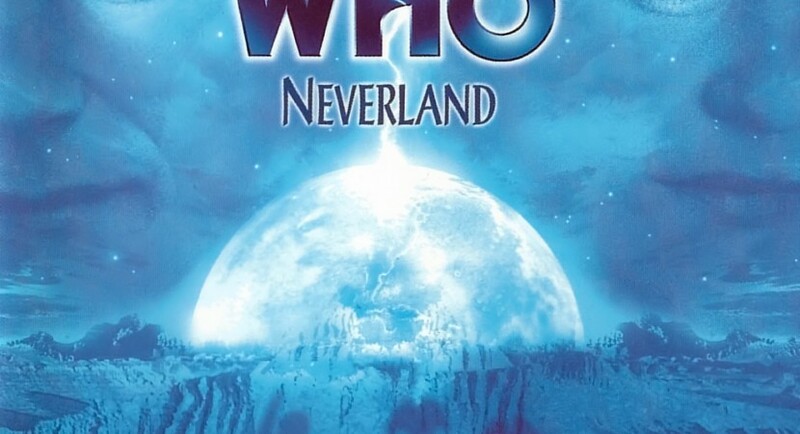 The first time I listened to Neverland, before I’d heard many of the Eighth Doctor stories leading up to it, I rated it a solid 8. Really, though, it’s some of the best Doctor Who in any medium, drawing on and adding to Gallifreyan mythos, which always raises the stakes. At the same time, the deeply personal moments between the Doctor and Charley, the Doctor and Romana are poignant and convincing. The monsters are original and uncanny, the language is almost Shakespearean, there’s good action sequences and truly vivid word-pictures for the imagination to feast on, and in the midst of it all the Doctor is his quixotic, maddening, witty, playful, courageous, and tragic self. For the record, Zagreus has been mentioned before in Project: Twilight (Six recited the nursery rhyme), Chimes of Midnight and Seasons of Fear. I really, really love the Time Station. I’m not sure if this was ever in proper classic Who, or if it was introduced in the EU, but it sounds huge and powerful. The depiction of the Matrix is also inspired, chanting “Humanian Era” and “Rassilon Era” and so on. And I love the inside-out TARDIS planet, although with the Never People’s ruse, I’m not sure whether it really was a TARDIS or whether they simply faked it as a lure. The appearance of Rassilon in this story (and the ones leading up to it) is quite beautiful, but it saddens me. Time marches on, and many stories since have called his reputation into question and portrayed him as a tyrant. Yet this is the Rassilon I grew up with on classic Who: wiley, ambiguous, but ultimately a benevolent if cunning figure who thwarted villains seeking immortality and shut down the Death Zone and established a utopia. And Lalla Ward is absolutely compelling as President Romana. She was always one of the better actors Doctor Who was ever lucky enough to snag, but she’s only gotten better.